Guides, tools, and consultations for the use and creation of copyrighted works. The use of materials that were produced by others in your studies, research, creative pursuits, and service activities. 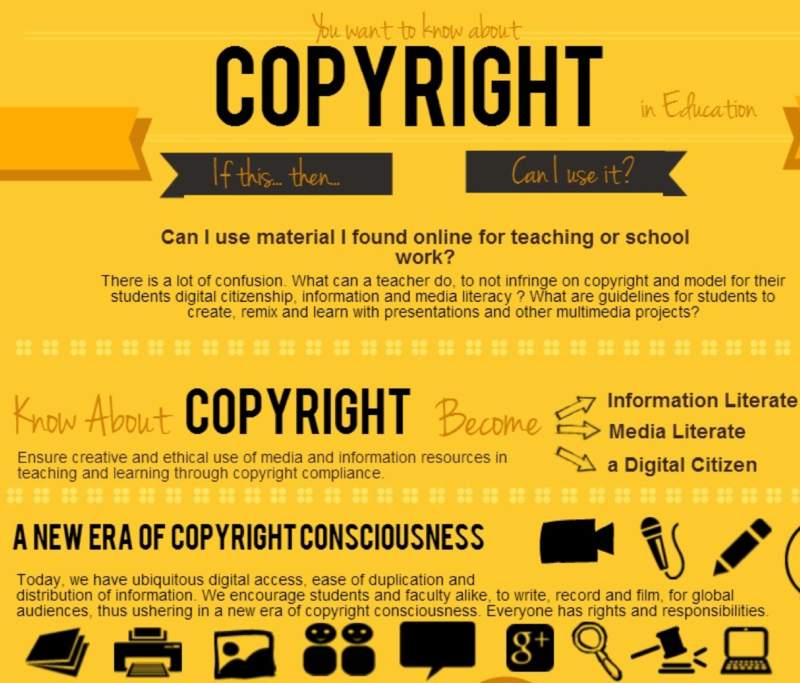 Cooperation with Copyright and Fair Use laws. The information presented here is intended for informational purposes and should not be construed as legal advice. If you have specific legal questions, please see the campus legal counsel. We provide guides and tools for using materials that were produced by others in your studies, research, creative pursuits, and service activities. We offer guidance to help our academics comply with Copyright and Fair Use laws, as well as retain rights and apply creative commons licenses to their works. Authors keep your copyright! - know your rights, what you could lose, and an author addenda to retain your rights when signing your publisher/author agreements. Download an author agreement template here. What can authors do? Librarians are happy to help with the process! Transfer, via an author addendum, to the publisher only those rights needed for publication. Consider publishing with an organization that will facilitate the widest dissemination of your work in order to help you fulfill your personal and professional goals as a scholar. This work is licensed under a Creative Commons Attribution 4.0 International License except where otherwise noted,.